At a young age, Nylah knew in her heart that inspiring and satisfying others through food was her calling. With a keen business sense and assistance from her mother, family and friends, she launched Nylah's Fat Thighz Cupcakes in 2013 to support an opportunity that she was presented with to study abroad throughout nine European countries. She wasn't sure how to fund her trip, but instead of giving up on her dream, Nylah used her passion for baking to raise the money she needed. With over 15,000 cupcakes sold, and her Europe trip over, her business has flourished beyond her wildest dreams! Why cupcakes? She loves how such a simple confection can become something new and exciting by making them individualized and special. The ability to design new flavors and creations are endless! Nylah will be graduating from Adelanto High School in 2015, and will be attending a 4-year University. She hopes to study Food Science and Business. Have no fear, Nylah's Fat Thigz Cupcakes will continue to operate! Her new goal is to use her experience as a chef and entrepreneur to change the world one plate at a time! Oh, and her favorite cupcake you ask? Red Velvet Cheesecake! 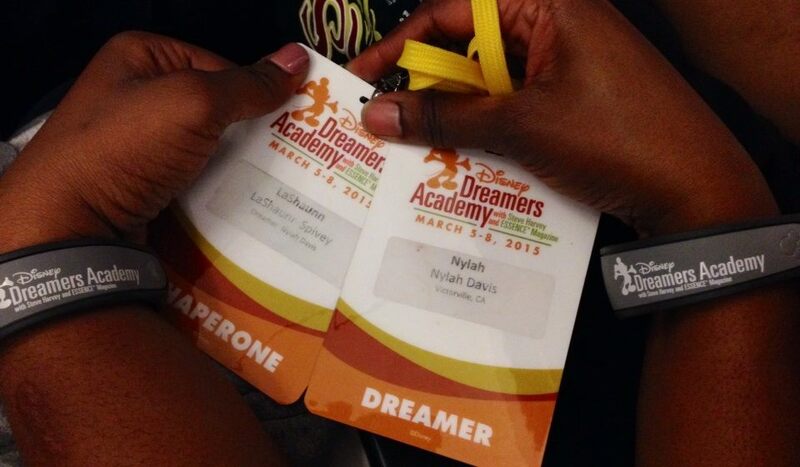 Nylah was inducted into a class of 100 students out of 10,000 applicants into the 2015 Disney Dreamers Academy! Sponsored by ESSENCE Magazine and Steve Harvey, the program "helps to unlock the potential in young people and enable them to imagine their futures anew through inspirational leaders who show how to set goals, make plans and dream big." Not only has Nylah been a featured dreamer, but she was also chosen by Steve Harvey and Rushion McDonald to intern for the Head Chef at the 2015 Ford Neighborhood Awards in Atlanta, Georgia! We are so excited about the opportunity, and will continue to keep you all posted!